I want to do something, but... how? Do you want to have more me-time to work on your thing but aren't sure how you can make it happen? Take time to BE YOU has been interviewing women who have made it happen and we are here to share their lessons with you. Here is what's worked and what hasn't for some wonderful women who are just like you. Suasti Lye from Straits Canopy shares what with us what it took for her to take a leap of faith and start working on her dream project. 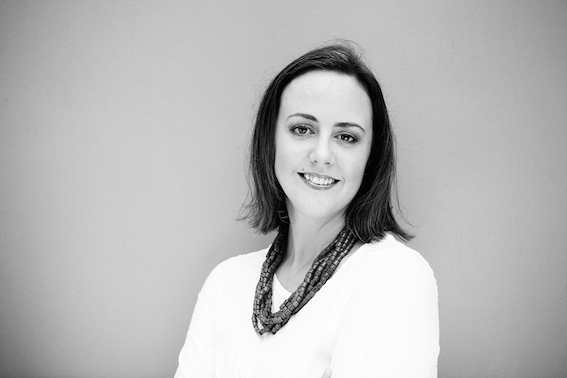 Amanda Smits from Jack and Bunny tells us how she managed to stay creative in the midst of motherhood. 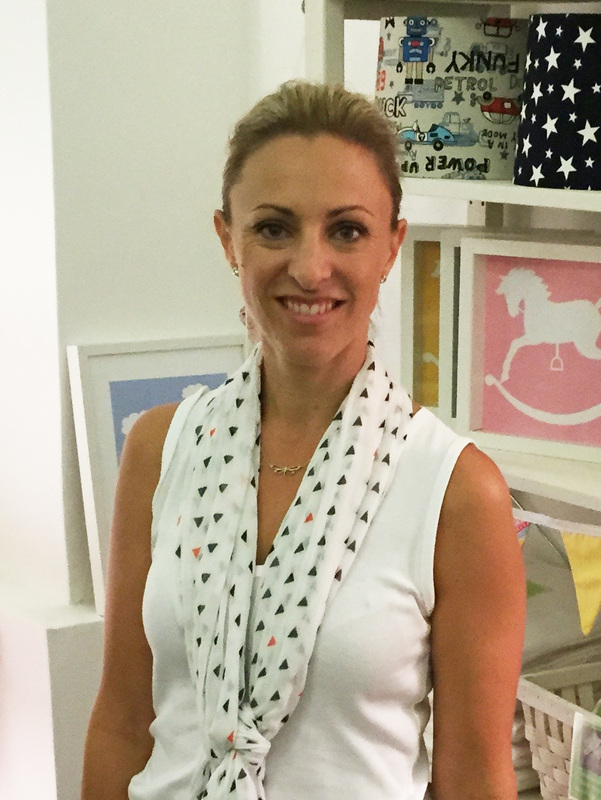 Michaela Anchan founder of Woolf Works shares what it takes to start a business and be a mother. As a mummy, maybe you have reached a point in your life where you feel you don’t have balance anymore: you need to do something for you, something to get your sparkle back. You have a great idea that you know will work, but how do you take that leap of faith and start the ball rolling? 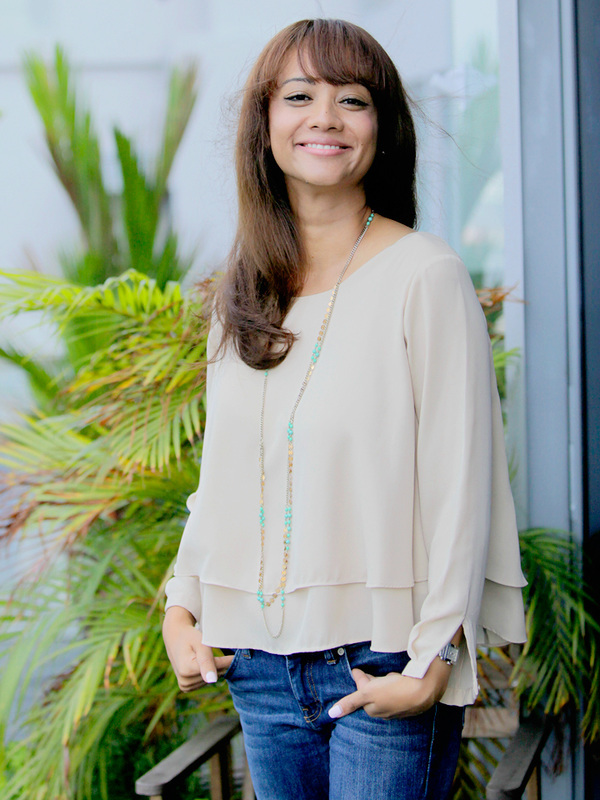 We chatted with Suasti Lye from Straits Canopy, who took that next step to realise her dream after her children started school, with the help of a gentle push in the right direction. ​Suasti tells us about how the flexibility of working for herself enables her to juggle family commitments and follow her dreams in her career. We hear from her about the importance of being organised, finding space to breathe, learning from other women’s journeys, and not listening to the naysaers! I am from Sydney, Australia, and I was born in the Middle East. I moved to Singapore eight years ago from New York City, as it was the next happening place in finance back then. Now, Singapore is the happening place for a lot of things! ​I studied Business at university with a focus on marketing. In the past, I have worked in law and finance, specialising in services marketing and the intangible aspects of these fields. I always like to see how things make people ‘feel’ and that is translated into what I do now. 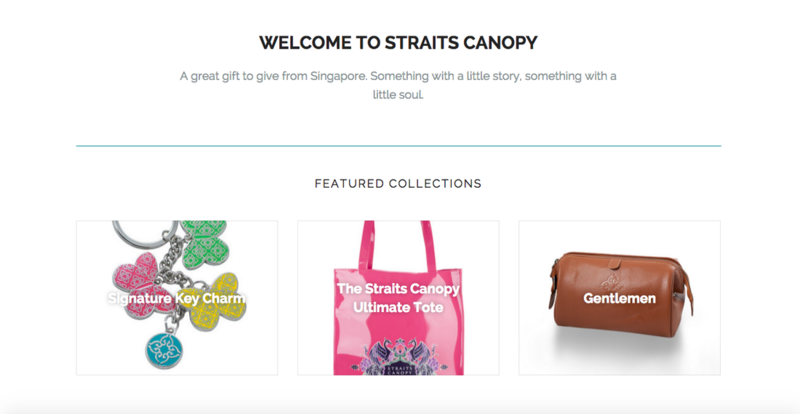 ​Straits Canopy is about the beauty of blending cultures together and having something great to gift from Singapore. After living here for a while, I wanted something beautiful that I could gift to friends and family overseas that showed off my new home. A little something they could use and integrate into their everyday life and remind them of a trip to Singapore or me missing them. I was so surprised, but that was the tipping point: that kind push and encouragement saw me take the leap. Both my daughters were in primary school when I started Straits Canopy, which also gave me flexibility in the daytime. I was also working full-time as a professional photographer at the time. I find that keeping fit and going for a quick walk or run in the morning and getting outside keeps the inspiration coming. When you are not absolutely focused on being creative, the best ideas can strike. It’s important to give yourself some space and room to breathe so your mind can relax and come up with what it needs to. I also carry an old fashioned notebook with me all the time so I can draw and write up any ideas that come to mind. I love to help people. Straits Canopy aims to solve the pain point of having a relevant gift to give. Photography helps me make people comfortable and see themselves in the positive light in which I see them. This helps them to be more confident and put their best foot forward in their own arena. Although making time is never easy, I dedicate the time from 7.45am to 4pm daily to work; this is split between Straits Canopy and my photography clients. I also plan my day the night before with a checklist of what needs to be done, so I can hit the ground running. I get so much satisfaction in crossing things off a written list. You can make time by being more scheduled and having lists. I find that if you set out to do things without a plan in place, time can often disappear and you can get distracted. Very specifically, writing down what you need to do, whether it is housework, family matters or work, helps you to visualise what needs to be done and helps plan your time better. There is always a way to find pockets of time. By the time you have added all these pockets together, you can achieve something you always wanted to do. Getting started is, by far, the hardest part. I think that if you have reached a point where you feel there is a lack of balance in your life by concentrating solely on being a mummy, then the right time is probably now. There is nothing you can do but take a leap of faith and go for it. Once you have started, the hardest part is over and you keep going. If your children are still at home and you are lucky enough to have a good helper or babysitter, you can set aside a couple of mornings a week to focus on yourself while the children are occupied. If your children are at school, you have a lot more time, so dedicating a certain portion of your day to developing yourself will just make you a better mum in the long run. I chose to work for myself because my daughters were little and I wanted the flexibility of seeing them when they came home from school. While my days are very busy, I am still able to meet them off the bus, do homework and have dinner with them. This gives me a personal sense of balance between being an entrepreneur and a mummy. If work is urgent, I am able to log back in at night after they are asleep. The main challenge I encounter is when my girls are on school holidays; it is always difficult to juggle spending time with them and still achieve work goals. I will split my days between kids and work, and take joy in the fact that I am even able to do that. I often work at night during these periods, but having that flexibility and being grateful for it makes the late nights bearable. I have faced a lot of naysayers, but I always listen to people’s different perspectives, as they can sometimes shed light on an area that is not working: I see it as constructive criticism. If they are extremely negative, I just have to have the courage of my convictions to go forward and remember why I started in the first place. I am very lucky that I have a close group of friends and mentors who I go to when in doubt. My family knows what I am working on but they are not involved on a day-to-day level. During dinner, we all talk about our days so they are aware if I have a larger project going on at that time. After putting my kids on the bus, I go for some exercise be it a run, walk or exercise class. On alternate days, I drink a cup of tea and read the news. I am able to meditate for about a minute at a time. The app One Moment Meditation helps me to regroup just for that moment. I would love to be able to meditate for longer – it’s a goal! I also have a ‘thankful journal’ that I write in every day; it reminds me to be grateful for all the little things. I work in large groups when I am on shoots, so when I need to focus and get things done I retreat to my home office. Here I can close the door and really think about what I need to do. It’s important to make time for yourself to keep your enthusiasm for life vibrant, especially when you are a mummy. When you take time to learn something new, broaden your horizons, get fit or meet new people, you are able to keep that spark alive. This energy and enjoyment for life will then be relayed back to the time you spend with your children and they will be able to ‘feel’ your energy. It makes taking time for yourself come full circle when your children benefit so much! I love listening to the podcast The School of Greatness by Lewis Howes. The stories of the people he interviews touches on all aspects of life. I admire many women in what they do day-to-day. It is no easy task being a full-time mother or a working mother in this era where there are so many demands and expectations of success. I meet lots of women in my work and I am able to learn something from each one. Each woman has her own views and journey, and I will take any help and insight I can get. I admire my mother the most, as she has a great career and was always around for her children. With a ton of energy, she was able to be great on the work front and also at home, with a lot of love and grace about her. “Have the courage of your convictions” and “Nothing is impossible”. Everyone has little failures along the way and it’s important to think of them as learning opportunities. The most important thing is the journey you go on. No matter what success and what downswings you may have, it will not be the last thing you do. The beautiful life you are about to bring into the world will supersede all your expectations and bring joy that you had no idea existed before. There will be challenges ahead, but the journey itself is the best part. Take time to be grateful for what you have and the opportunity to be a mother. You will undoubtedly be the most influential and important person in this little baby’s life, and it is a beautiful thing. And remember to breathe. Staying creative in the midst of motherhood. Women are naturally creative. As nurturers, carers and sometimes life-givers we are inherently designed to give birth to new things and ideas. 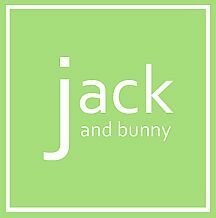 So even though Amanda Smits, founder of Jack and Bunny, started out studying Chemical Technology at college, it was her desire to design a range of products for children that really unlocked her creativity. And apart from having 2 sons of her own, Jack and Bunny has been her baby. ​But as we all know, an idea stays just that without a lot of hard work and persistence. We chatted to Amanda about how the seeds of her business grew and took shape alongside family life and how noticing your creativity and practising it are key. I grew up in Newcastle, and we moved to Singapore 11 years ago as a new direction for my husband’s work. Prior to that I actually studied Chemical Engineering at university of all things, which was so off track I didn’t end up finishing. After travelling for a few years I settled into office work as an Executive Assistance then a dual roll as an assistant in Hotel Design and Interiors. I don’t think there is ever the right time to a start a new business. You just have to jump in. As this is my own business I have the flexibility of making it as big or small as I need at any given time. When my second son came along I thought I could do it all and quickly found out I couldn’t so the business was put on hold for a while. I do find my best ideas come when I am going off to sleep. This is the time I can visualise things in my mind the clearest. Probably as no one is calling Mummy every five seconds! I’ve learnt that it’s important to take this time each night, to enjoy it and to find a way to remember all the ideas I’ve hatched. I guess having that peace and quiet just before I go to sleep is a bit like meditating and that helps to stimulate creativity for me - which is essential. I need a very clear, tidy and uncluttered office before I can work easily. Some times this overtakes what I should be working on. Until I have rearranged things I can’t get started! Finding time to put the ideas into action is my greatest struggle. Now that my youngest is going to preschool 3 mornings a week, I try to dedicate this time to work. This can take place either in my home office or in a cafe somewhere with my laptop. Depends what I need to work on or have allocated for that day. Creative things I like to do in my office and the admin I can do anywhere. I am not big on tv for the kids but when I need an hour or so to get a few things done I can justify this. Having a list of things to do works for me. I learned quickly that trying to do work in the middle of afternoon activities or weekends just doesn’t work for anyone. I get frustrated being interrupted and then the kids get flustered with my divided attention. Now, I devote 100% of my focus to the kids around all the important times like after school, before bed time and the main parts of the weekends. That means no checking emails or having a quick look at something on the phone during these times. This way the kids are happy and I don’t feel guilty about taking time for me during set hours. I think the biggest challenge is working alone at home and staying motivated. Without contact with others you can feel like you are slaving away for nothing and the self-doubt can creep in. Until recently I kept so much to myself and never asked for help but after hearing a talk from another working mum (thank you Sandra) about putting yourself out there it really has changed the way I think and feel about what I am doing. By talking to others I have learned so many things. I believe I am a much stronger and open person since creating my business. Previously, I don’t think I would have ever entertained the thought of answering interview questions like these for fear of being judged! I love that I have created something just for me that I can escape into. Being a mum is the BEST thing in the world but I really needed an outlet for my creativity, and making that outlet for myself has been really fulfilling. I think it is important to make time for yourself after having children. Even if it’s for a small part of the day. Parenting is tough and, for me, time to myself is grounding. To remember I am a person first makes me a better mother. If my needs are met, then my children needs can be better met too. Mine is so simple. A cup of tea! Even the kids know if mummy hasn’t had that yet then steer clear! A quote that sits in my office is: “The purpose of life is to live it, to taste experience to the utmost, to reach out eagerly and without fear for newer and richer experience” - Eleanor Roosevelt. I found it on note book page somewhere years ago and thought how nice it must be to go through life without fear. It came at a time when I was new in my business and so closed and scared of what was out there. I think I am now living these words. I don’t think I ever knew I was ready. I started slowly with the idea. But the advantage I had with my business was that I could actually start and stop when I needed to. I did actually stop when my second son came along. Initially I tried to do a market fair when he was one month old and I said to myself what am I doing? So I stopped for eight months. I felt like I had gone overboard and I wasn’t going to cope. So I just stopped. I allowed myself to stop. I gave myself permission and didn’t tell myself what I was doing was wrong. It’s important to ignore self-talk of guilt. I started again once I’d had a good break. I knew I had more energy, my younger son was more manageable and I was getting a bit of routine back. And I was finding a better life balance. For my project, creativity is the key driver. That never stops in me. The project gives me the outlet for releasing that creative side in me. Instead of driving my husband crazy making things for no reason (which I still do sometimes), I now have a platform to put that creative side into use. I don’t need motivation to be creative. It’s just there. Although sometimes I will have a creative block. So in those months, I accept that it’s happening. But to help myself out I go and clear up my office. And then once the space is ready it gives me clarity again. You know how they say in that movie, Field of Dreams, “if you build it, they will come”. I say: "if I clean it, it will happen - the creativity will come”. Relax. You are not failing when you’re stopping. It’s ok to take a breather. It’s ok not to be able to do it all at once. Having a break is not a failure. It’s a chance to re-centre and think about what you want to do. It’s part of the process to start and stop and start again. With a small business you really feel like you’re putting yourself out there and I wasn’t sure I was putting the right me out there. So having a break helped me re-think things and put the right me out there. I feel like the circumstances at the time (my older son was already at school) pushed me to start something when perhaps I wasn’t ready. I was conscious that with him being at school I just didn’t want to be at home not doing anything. So I needed something for myself. But I think I put too much pressure on myself to start something when really I could have waited a little until I had a clearer idea of what I wanted out of it. from someone that’s done it! It's all about the people, place and purpose that is right for you. We’ve all heard the adage that it’s not what you know, but who you know. We can always learn something new if we need or want to, but cultivating networks and building relationships is crucial to success. By opening yourself up to people and having the right contributors and mentors in place, ideas can go from a scribble on a paper napkin to a fully-fledged reality. Case in point – Michaela Anchan. 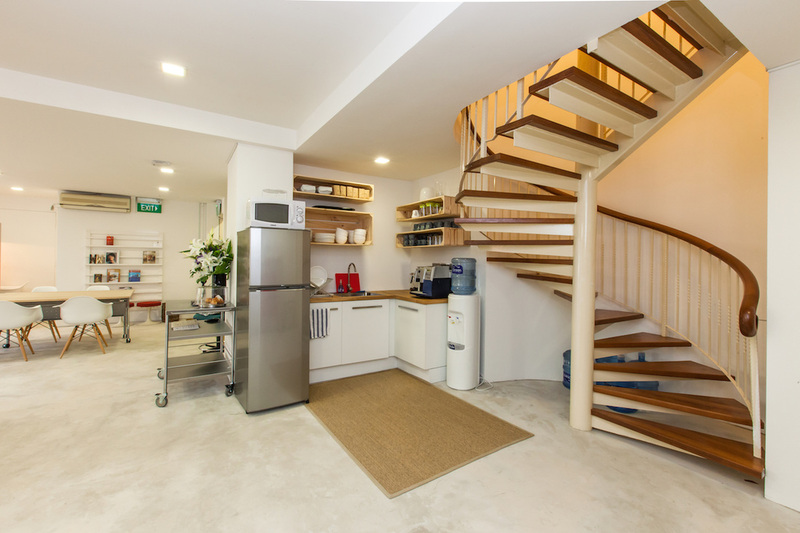 By sharing her dreams with a trusted community of women she had the confidence to create Woolf Works, the beautiful co-working space for women in Joo Chiat, Singapore. Here, Michaela chats to us about the importance on calling on your networks and the other vital ingredients to balancing entrepreneurship with motherhood. So, grab a pen and paper because she has some great practical tips for all of us! Decide what you want: If you have a yearning to do something, it may be apparent straight away or it may take a while to become clear. Be patient, refine your idea into something specific and be on the lookout for opportunities. Create a network: Research and join the support groups that are relevant to you. They could be women’s groups, business groups, interest groups, social groups. By meeting people within these networks and sharing ideas, when you feel comfortable, you will inevitably get feedback on how to improve and develop your project. It’s valuable market research and it also increases your confidence! Don’t spread yourself too thin: Women can have it all, but not all at the same time. If you’re ready to start a business, give yourself permission to devote some of your time to your idea and some of your time to your family. Trying to do it all at once ends up being no good to anyone. Ask for help: The knowledge that your children are well cared for in the way that you want will be a weight off your mind and allow you to focus during your allocated ‘professional time’. Get organised: This includes everything from planning menus to sharing calendars with your husband to goal setting. Spending time on a weekly basis to document plans will help get the family on the same page. Get fit: By exercising regularly you will unlock the energy levels required to give you the stamina to deal with the multiple areas of your life. Maintaining your vitality is crucial as an entrepreneur because you are your idea. Take a long term perspective: It can be stressful to run your own business as there are daily worries associated with it: finances, It, HR, marketing, sales etc. To prevent this from becoming a burden it’s helpful to take a long term approach and keep your eye on the horizon. And delegate! Life before becoming an entrepreneur. I was born and raised in New Zealand. About 12 years ago I left to travel around the world and to teach English. During my travels I met my husband in Mumbai, where I ended up staying and starting a family. During my time in Mumbai I worked, I did a degree in Creative Writing, and I had my first child. At the time, I made the decision to be a stay-at-home-mum, and totally embrace the lifestyle. I enjoyed that time very much, with the exception of not having enough time to write, which frustrated me a lot. Life in Mumbai was busy and full of interruptions. So I began to consider renting office space but, logistically, this turned out to be too difficult and I pushed the idea into the too hard basket and forgot about it. In 2011 we had the opportunity to move to Singapore for my husband’s work. Living in a megacity like Mumbai where there is little chance of an outdoor life was becoming a frustration so we welcomed the opportunity to move. We spent the first year setting ourselves up in the new home and figuring out life in a new city. After a while I was able to start doing a bit of writing, I also took some photography courses, and I set up a photography blog. Then in 2013 I had my second child. 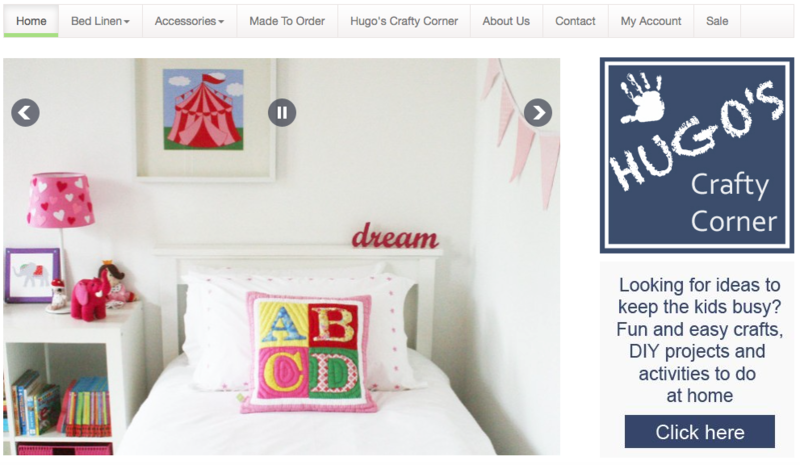 For a while I'd had this dream of a shared office space, maybe one to share with other mums. I started looking into it and realised the concept was called co-working and it was already very popular in other parts of the world. Virgina Woolf talks about the notion of women having a space and time of their own to create and be in her essay, A Room of One’s Own, and that’s exactly what I want Woolf Works to provide to women in Singapore. A place where they can be among like-minded people, concentrate and create. Surrounding yourself with the right kind of people. In 2013, I was part of a women's business group and it was in talking about this idea to the ladies in that group that helped me shape the concept and make it seem more real. Having that community of women was very important to me. They were a sounding board for my ideas. Talking to them gave me confidence and encouraged me to feel like I could make this project a reality. I also had an amazing helper at home and she played a big part in the process of me starting a business. For instance, when my little one was about five or six months old I realised that I did not need to be at home all the time. I felt comfortable that my helper could do what I was doing, just as well. She was very capable and I didn’t feel any jealousy towards her and how much my son loved her. Instead, I thought about how lucky he was to be surrounded by so much love and I grabbed the opportunity and just went with it. It was around January 2014 that I decided to commit 100% to the project. I decided I would start working on it as if it was my full time job. So I began to research the concept and write business plans. This also coincided with me starting to work out with a personal trainer, which had a huge impact on my energy levels. The energy I got from getting fit really empowered me and made me feel that I could take this on. So, in July 2014 I was able to launch Woolf Works! An important change of mindset. I was certain that I wanted to do something. I was ready to start prioritising myself, stop feeling frustrated, uninspired and bored. The frustration arose because I could never get anything done while I tried to be a full time mum. I felt I could never totally commit to anything. So I had to change my way of thinking. This was an important shift. I said to myself “I’m going work full time and I’m not going to try and be a full time mummy as well, I’m going to delegate that from 9 to 5". I gave myself permission and I didn’t seek anyone else’s approval. This changed everything for me and allowed me to create more spaces in my life. I stopped trying to go back and forth attempting to be a full time mum and a full time entrepreneur. And no one suffered for it. My kids are very happy and so am I. Doing it when the time is right for you. This shift occurred when I had my second child. I was more relaxed as a parent second time around and this allowed me to think beyond just motherhood and what I wanted. With your first child you tend to feel like you don’t want to give it up to anyone, you want to do it all. Whereas with the second you know they’ll be ok, as long as they are loved and well looked after by their carer. Making time when you don't have time. To make sure I do everything I need to do, I schedule everything. I can’t live without my Google Calendar. I have a lot of recurring appointments - for example: Wednesdays from 9 to 11am is my writing time. I make sure I stick to what's on the diary, and the recurring appointments are there to remind me to be consistent with my work. I have a shared calendar with my husband too, which is a great way to make sure we're on the same page and don't miss the important stuff. I also make a lot of to-do lists. At the beginning of each day I sit down and write one and then just try to get through it during the day. My favourite thing is to have a big piece of A3 paper with everything I’m working on. Taking the 'mummy hat' off and focus on your personal project. It's important to first define and figure out how much you want to give to your project. Do you want to just do it in the mornings? Part-time or full-time? Figure out your boundaries and then commit to what you want to achieve. Define your working hours and work those hours like you are your company’s boss. Dealing with the guilt of not being with the kids all the time. I always come back to the fact that my kids had 5 years of me as a stay-at-home-mum. And now it’s time for me to do what I want as an individual as well as be a parent to them. I don’t feel guilty because in the end I feel I’m a better role model to my children this way. I’m a happier more fulfilled person and that makes me a better parent. So I think even though my kids now get less of me, they get a better version of me. I also think it’s been great for my daughter to see that I can be both a stay-at-home-mum and devote my time to them. But I can also work and do my own thing too. I think that's a great example for her as a girl. Balancing work, husband and kids. Being an entrepreneur is all consuming, so it's hard to achieve balance. I feel like I'm constantly thinking about work. However, what’s really helped me, is separating family life from work. Having a separate physical work space from our home helps me disconnect mentally. That’s why I started Woolf Works! So when I come home – I’m home. I try to put my phone away – and 5pm to 8pm is all about the kids and family life. My husband and I try to do a regular date night. We don't always follow through with it but we're ok with that. We’ve recognised that this is a time in our lives where we are very busy and we have to be flexible with each other. We’ve accepted that. I think we now have more perspective. Again I think that comes with having a second child and knowing that whatever is happening right now is not going to last forever. You know you are doing the best you can and that's good enough. Involving family in the entrepreneurial journey. I share this project with my family a bit but not too much. My daughter and I talk about it and she is quite proud and happy to know about the place. My husband has been very supportive too. I feel that it's good to have their support but I don’t need to be discussing it with them all the time, because at the end of the day it’s my thing. It's been an emotional rollercoaster, especially being a solo entrepreneur. There's been lots of highs and lows. Sometimes you feel great because people get what you are doing, but that's not always the case. Sometimes you’re not sure if you are doing things the right way. You get worried about all the things that could go wrong. But I try to cope by keeping perspective – I find that looking at the project long term helps. Also being a part of other communities and networks and having people you can talk to about the issues that come up really helps. I’ve reached out to people that I thought could help me. I’ve had a few advisors. And the most important thing is that I've not been afraid to ask for help when I've needed it. Whenever people questioned me or tried to fill me with their own doubts, I would just ignore them. I've always had a strong vision and concept of what the place was going to be like and that's helped me stay strong. If you have complete confidence in what you're doing and you believe that what you are doing works, then everyone else will. Most important thing to keep in mind. Commitment. If you’re going do it then do it 100%. You’re not going to succeed if you don’t put your all into it. I definitely feel happier and more fulfilled. I feel like I’m getting closer to feeling some accomplishment and feeling like I’ve done something with my life. I have purpose! I would tell myself to stay connected to a business community or network that supports my personal interests. It makes a big difference. The people that you surround yourself with give you inspiration and guidance and will help you create what you are going to be. So now I’m feeling more proud of myself! Starting the day the right way. Like most mums, my alarm clock is my younger son. He wakes me up at 6am most days. So to shift things and start the day feeling good, I try - when I can - to exercise. Then I have a coffee and I'm all set to start the day. I love a good TED Talk - Elizabeth Gilbert and Brene Brown are current favourites - and as cheesy as they are, I love Marie Forleo videos! She is a lot of fun. I also love short stories and my latest passion is Lorrie Moore, an American author. We did a weekly 'Herstory' column on the Woolf Works' blog and through that I found out about Constance Singam, a Singapore social activist, and the amazing Wangari Maathai who founded the Green Belt movement. Aside from having help at home to look after the children. I have a virtual assistant that helps me get on top of my to-do lists. Together we have a social media calendar which she helps me with and also some other general tasks. It's been an effort to learn to delegate things but it's important to learn to do this. I use onlinejobs.ph and so far it's been good and very affordable. If you are going to do it, do it well. A quiet space but with people around so I can chat with them when I want a break. Google Calendar, pen and paper. I use a lot of Facebook, some Twitter and a bit of Instagram. I also have a blog.